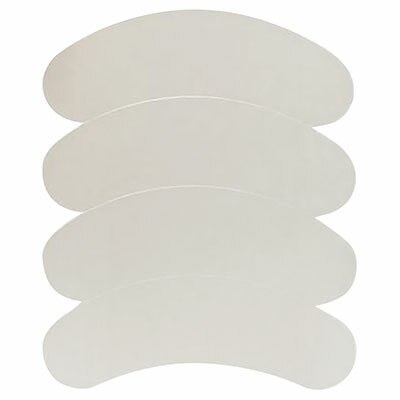 Under eye pads that cover all the bottom lashes during an eyelash extension procedure. These medical grade eye pads are hypoallergenic, lint-free and easily repositionable. 20 pairs per pack. Made in the USA.